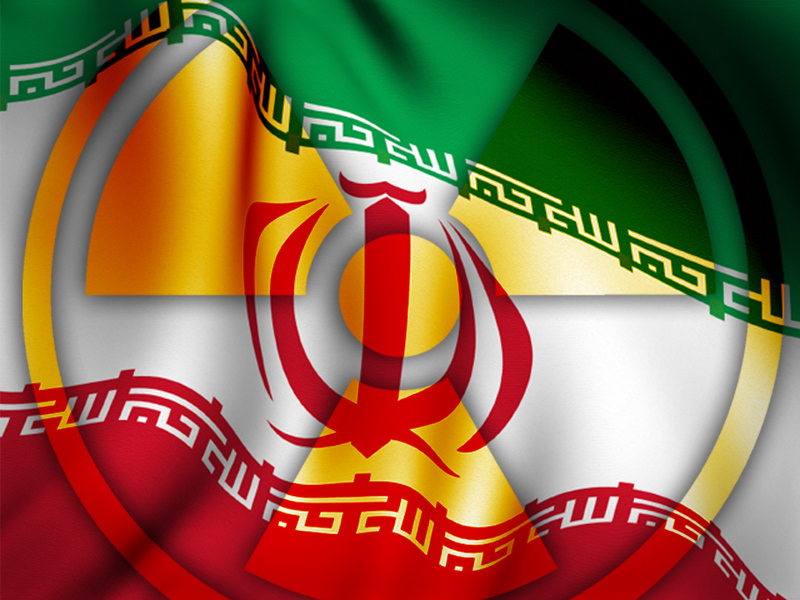 Group: Iran can make material for nuke in 2-4 mos. VIENNA Iran now could produce enough weapons-grade uranium to arm a nuclear bomb within two to four months but would still face serious "engineering challenges"  and much longer delays  before it would be able to use the material in an atomic warhead, a respected U.S. think tank said Monday. While Iran denies any interest in possessing nuclear arms, the international community fears it may turn its peaceful uranium enrichment program toward weapons making  a concern that is growing as Tehran expands the number of machines it uses to enrich as well as its stockpile of enriched uranium. And as apprehension increases, so does anxiety that Israel will make good on threats to attack Iran's nuclear facilities before that nation reaches the bomb-making threshold. In a strident call for an internationally drawn "red line" on what he said was Iran's move toward nuclear arms, Israeli Prime Minister Benjamin Netanyahu said Sept. 28 the world has until next summer at the latest to stop Tehran before it can build an atomic bomb. Flashing a diagram of a cartoon-like bomb before the U.N. General Assembly, he said Iran was ready to move to the "final stage" of making such a weapon by then. For now, U.S. military and intelligence officials say they don't believe Iran's leadership has made the decision to build a bomb, while also warning that the country is moving closer to the ability to do so. The Institute for Science and International Security did not make a judgment on whether Iran plans to turn its enrichment capabilities toward weapons making. But in its report made available to The Associated Press ahead of publication Monday, it drew a clear distinction between Tehran's ability to make the fissile core of warhead by producing 25 kilograms (about 55 pounds) of weapons-grade uranium from its lower enriched stockpiles and the warhead itself. "Despite work it may have done in the past," Iran would need "many additional months to manufacture a nuclear device suitable for underground testing and even longer to make a reliable warhead for a ballistic missile," the report said. Additionally, ISIS  which often advises Congress and other branches of U.S. government on Iran's nuclear program  said any attempt to "break out" into weapons-grade uranium enrichment would be quickly detected by the United States and the International Atomic Energy, which monitors Tehran's known enrichment sites. With Washington likely to "respond forcefully to any "break-out" attempt, Iran is unlikely to take such a risk "during the next year or so," said the report. Still, the report suggested a narrowing window as Iran positions itself to increase enrichment. Israeli PM: My warning on Iran "reverberates"
Retired U.S. Ambassador Thomas Pickering, who recently co-authored a paper warning against a U.S. attack on Iran's nuclear facilities without first conducting a thorough cost/benefit analysis, told CBS News State Department correspondent Margaret Brennan that he agrees with U.S. and Israeli intelligence that there has been no decision yet on the part of Iran to construct a nuclear weapon. "But I also believe," Pickering said, "that Iran has put itself in a position that, should a decision be made to make a nuclear weapon, they would have the technology, the equipment, the knowledge to be able to do that." Pickering said that while a missile strike against Iranian facilities might delay that country's ability to produce a nuclear weapon, it would not prevent them from ultimately achieving such a goal. "That would take a great deal more, perhaps including a land invasion, which would pale into insignificance what we had to do in Iraq and Afghanistan," he said. "I think the good news is that both our report and Secretary Panetta believe that there is time, and time is very important for diplomacy to work - not time to be wasted, but time obviously to engage." "Why not, for example, see if we can make Tehran's nuclear reactor more efficient at making cancer isotopes?" Pickering said. "That means Iran's plans to build four more reactors like that wouldn't have to be carried out." Iran now has more than 10,000 centrifuges enriching uranium at its main plant at Natanz, about 140 miles southeast of Tehran, making low-level material. Additionally it has about 800 machines turning out 20-percent enriched uranium at Fordo, a bunkered structure fortified against air attack near the holy city of Qom, as well as about 2,000 more installed but not yet running. Uranium enriched to 20 percent can be turned into weapons-grade material much more quickly than low-enriched uranium. If the centrifuges at Fordo that now are idle also start operating and are used to make 20 percent material, Iran  using its total enrichment output of low and higher grade uranium  could produce enough weapons grade uranium for a warhead within three or four weeks, said the summary. Olli Heinonen, who stepped down as the IAEA's deputy director general in charge of the Iran file in 2010, said the ISIS report contained "good and technically sound estimates." He said Fordo will nearly double its production capacity of 20 percent enriched uranium to more than 60 pounds a month, if and when all machines there are operating.